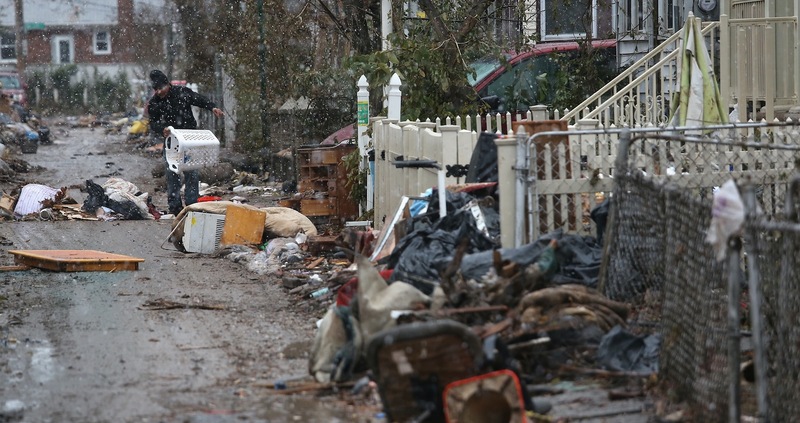 For most of Manhattan, normalcy is finally starting to return to residents after Sandy first showed its face last week. Unfortunately, that wave of calm is not spreading throughout the rest of New York City, as many areas are still suffering from the storm’s effects and are without power and heat. And with these persistent problems, businesses are at stake. In response to this, the New York City Economic Development Corporation (NYCEDC) has identified a number of commercial spaces which it says “will be generously offered for free as short-term ‘swing’ office space.” Participating spaces include the Sunshine Bronx Incubator (which we’ve previously covered) and NYU-Poly: Varick Street Incubator, as well as the massive Brooklyn Army Terminal. On to the details, the exact amount of time and space that is being offered varies widely, ranging from a few desks to 40,000 sq. feet and from one month leases to an entire year. In addition, a number of businesses are also providing “supplies,” like developer-focused voice and messaging startup Twilio, which is giving away temporary phone services. Businesses in need can check out the available resources via the link below. If your staff footprint is small, you should also check out this Sandy Coworking Map. To donate space, services or supplies, head here.